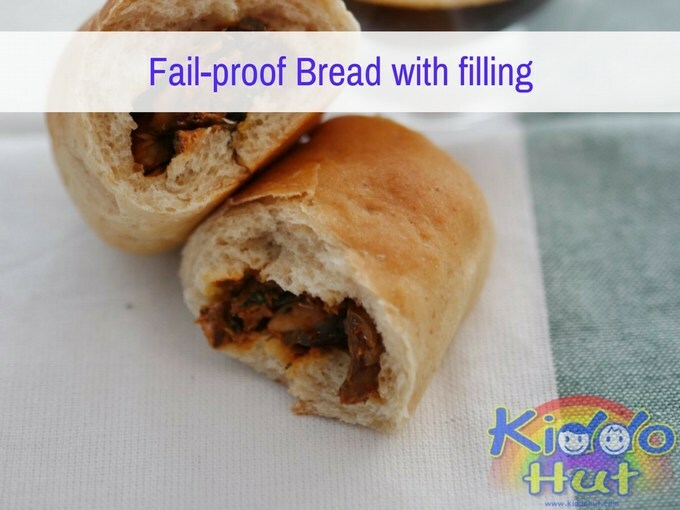 This is the first baked item recipe I have issued here, and I have always wanted to bake a staple food – bread. A bread that is soft in texture and low sugar yet one that does not required too much time as we all know, bread-making is always time consuming. 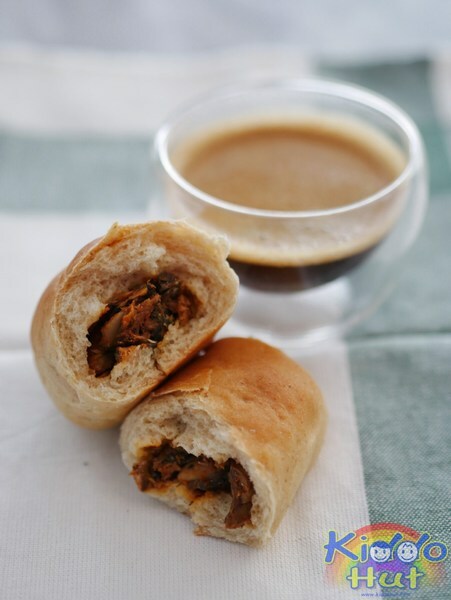 I have tried few recipes, this recipe satisfies all my requirements and I notice beside the kneading of the dough, proofing affects the texture too. I got this recipe from my beautician verbally and essentially, just 4-steps – knead, proof, proof and bake! There is no starter dough required. The original recipe calls for an hour of first proofing. Hence, I sought the advice of a professional baker who gave me the tip to proof in an oven at 30-40 degrees with a bowl of hot water therein, without covering the dough. Spray water when the surface of dough seems dry. When you spray, hold the spray further away and use those mist-type of spray. Check approximately every 15 minutes and replace the hot water every 15 minutes. I suppose most bakers or people who bake frequently knew this trick. I used this method except that I covered the dough as I found the spraying is troublesome, and it cut down the proofing time by half. I have also tried brushing very little oil on the surface of the dough before proofing to prevent drying and it works! This works well especially for cold and dry climate. Please do not brush too much oil, it has to be very very little oil. Please watch the YouTube video and do subscribe to Kiddo Hut on YouTube for more videos in the pipeline! 1. Put all dry ingredients in a mixing bowl and using the knead hook, start mixing the ingredients with low speed (level 1). 2. Add the liquid ingredients slowly into the mixing bowl. 3. When all ingredients blend well, increase the machine to low-med speed (level 3) and let it knead for 20 minutes. 4. Check that the dough doesn’t stick to the mixing bowl or hand, roll it into a ball and let it proof inside the mixing bowl. If dough still sticks to hand, means that it is not ready, continue to let machine kneads. 5. (Proofing) Brush very little oil on the surface of the dough. 6. Once the dough has double in size, apportion the dough and shape them accordingly. You may put in fillings of your choice. Use your hands to flatten the dough ball, put the fillings and seal it up. 7. Let the filled dough balls proof the second time as per steps 5 and 6, except proof for 15 minutes inside oven and balance 15 minutes outside the oven while pre-heating the oven to 190 degrees. 8. Bake under 190 degrees for 15 minutes. 9. Bring them out of oven, cool it and enjoy! If you have enjoyed reading this recipe, do like my Facebook page to get more upcoming fun and informative recipes. Alternatively, you can either subscribe to Kiddo Hut on YouTube or follow Kiddo Hut on Twitter, Pinterest and Google+ for all forthcoming recipes. Thank you for visiting Kiddo Hut!